I love it when my kids choose a theme for their birthday that I can really get into. Not only was The Professor excited, but having enjoyed these books with him, I was too! This was providential because that enthusiasm spurred me to get some of my plans accomplished early so that when the ugly hand of illness smacked me down, all was not lost. 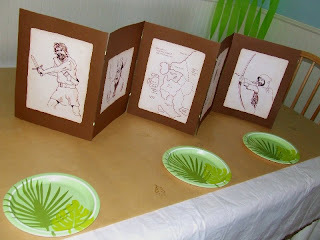 The centerpiece is made from ribbon sandwiched in between cardstock and printed copies of drawings from the author's website. We also stamped the brown paper runner with gold and silver oak leaves which are the symbol of the Rangers. You can't see them here, but Husband decorated the whole room with streamers to make it really festive. 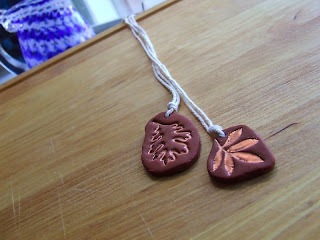 We made our own pendants in honor of the ones that the apprentices wear out of Sculpey, rubber stamps and embossing powder. The boys chose an oak leaf and the girls chose one that resembled a laurel branch. They haven't read the books yet, but The Professor told them that Alyss, a female apprentice in the Diplomatic Service, wears a laurel branch pin. 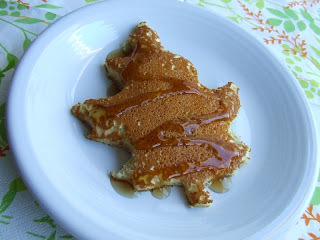 The Professor cracked up when he read this scene in Book Three so we decided that pancakes for breakfast were in order and an oak leaf cookie cutter made them even more fun. My biggest disappointment was that because I have been sick for the past week and a half, I was not going to be able to make the cake which is something I love. He had asked for a map of Araluen cake pretty early on and I had even started practicing my piping. But when I realized that the last thing I needed to be doing while coughing and hacking was to be standing over something other people were going to be eating, I started exploring my options. Plan B was to just have a photo cake made using a printed copy of the map. That plan, while not quite a knee slapper, still must have made God chuckle. Every single photo cake machine in every single bakery within a 10 mile radius was broken in some way. I. kid. you. not! 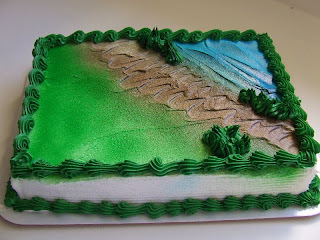 Take one Field and Stream Camping cake from your local Bullseye Superstore. Be sure you ask them NOT to put the tent, kayak and fire pit on the cake, just in a baggie on the side and don't pull your hair out when they ask you twenty thousand times in a skeptical tone of voice, "You don't want anything on top? 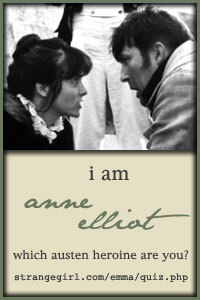 You don't want anything written?" 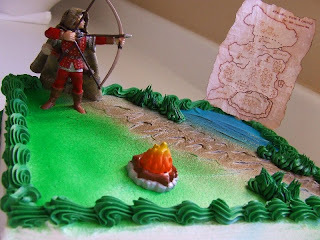 Add one Sleich archer figure with a Mommy stitched cloak and one worn, torn, crumpled and burned copy of the map (taped to a popsicle stick) for character. Now, go ahead and add the fire pit for fun and for those slightly confused but sweet ladies in the bakery. I really like the way it looked (no comment on the taste) and ended up being happier with it than the Plan A cake I had in my head. He was thrilled and couldn't wait to pluck that archer off and go play with it. Right now, he is diving into Book 4 and waiting for me to finish hemming the Ranger's cloak he was hoping for. He got it, I just have to finish it. But that is a post and a chore for another day! I love it, even though I haven't read the books. I also love your party-planning skills! Do you do this for just the family? We have a birthday Saturday for my little princess and I would love to make it special (though I didn't do anything too special for the other 2 January birthdays) even though I only have Saturday a.m. to do it! When we have a birthday celebration it is typically for the family exclusively. I guess we are "exclusive party" people! LOL! I really like to plan around a theme and I encourage my children to think outside of the box although we have had our share of animated character themed parties too especially when the kids were younger. I try to come up with a craft or activity related to that theme to fill in any "down time" (like waiting for Daddy to come home). Since I like making cakes, they are usually a big deal for us so I let my creative juices flow! My oldest daughter has had quite a few "princess" parties. The easiest cake topper is a tiara from the bridal section of any craft store. They are sparkly and fun and can be washed and used for dress up later! And if you want to make the cake something extra special how about a smaller layer on top of a bigger layer, like a mini wedding cake like this one. Charlotte, looks like everything turned out wonderfully! I hope you're relaxing this evening with tea, chicken soup, and Vicks!! My boys have just had a look and were very impressed. I am now in dread that they may ask for a cake. will you be horrified if I admit that for many years we had 'ice-cream cake'? Happy birthday to the Professor! Cool cake!! I've just requested the first Apprentice book for my 11-year-old son, (we hadn't heard of the series before this), so if you'd like a new penpal let me know! Great job! I'm not familiar with the books, but I can totally appreciate how great everything looks. I'm always on the lookout for books for my son who is 10. I'll look for those. 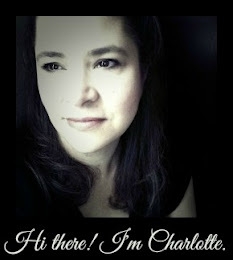 Ohmygosh, Charlotte, you continue to amaze! You've got some of the luckiest (ie: most blessed! )kids around. Also ~ SO happy that you recommended this series! We are just finishing up the Narnia chronicles (for the 3rd time) ~ and were looking for a new read-aloud. This looks like just the ticket! This is so wonderful. Thanks for sharing. I had a question about the sculpey pendants. Do you have instructions on how to make them? I have a whole collection of rubber stamps sitting unused and my kids would love to make something like this. But I've never used sculpey and I have no idea where to begin. Any info would be a great help. Thanks!